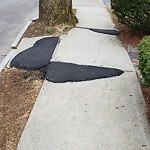 Sidewalk uneven on entire street causing tripping hazards. The whole sidewalk here is destroyed!!! 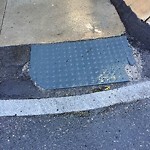 Impossible for wheel chairs to use it. Road is just as impossible to use. 20 years of neglect at least! 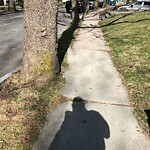 Please re build sidewalks and road. Lots of travelers to the church use it. 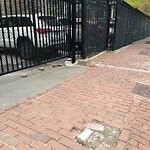 Constituent emailed and said that the sidewalk at 27 Wareham is all torn up because of construction. Please repave.